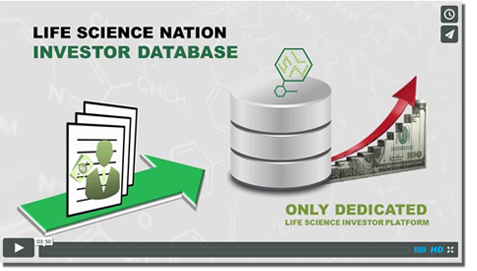 By Dr. Karin Bakker, Managing Director, PharmaPlus Consultancy, B.V.
LSN’s deals database is a powerful tool for investors and corporate strategic groups looking to follow key trends in the area of licensing and product/technology specific transactions. This week, LSN takes a deeper look at three popular parts of the space with compelling activity in 2011 and 2012: These are oncology-focused therapeutics, antibodies, and early-stage products. The tables below explain the latest shifts in the space. 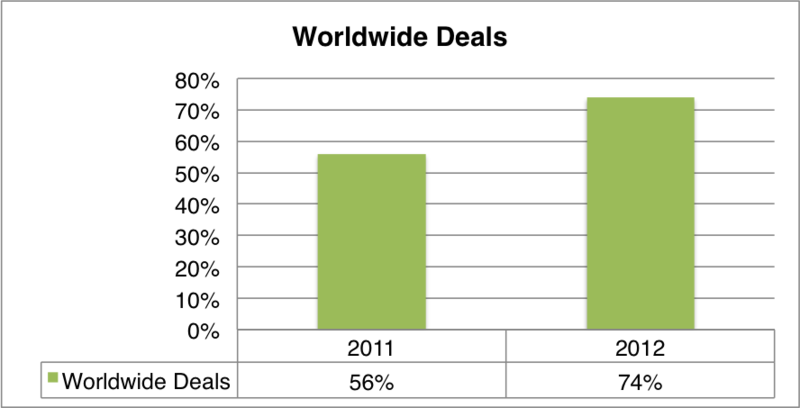 Worldwide deals increase dramatically: For oncology deals done between 2011 and 2012, there was a nearly 20% rise in deals that had worldwide licensing rights. This means that the licensee has exclusive rights to research, develop, manufacture & commercialize, regardless of territory. 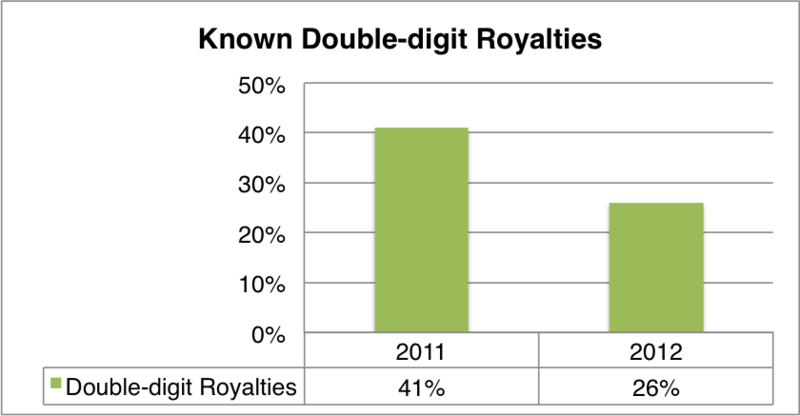 Of these deals, at least 41% in 2011, and at least 26% in 2012, were reported to pay double-digit royalties to the licensor (10% or more.) It is important to note that this number tends to fluctuate positively, because royalty figures are not necessarily publicly disclosed in licensing deals. 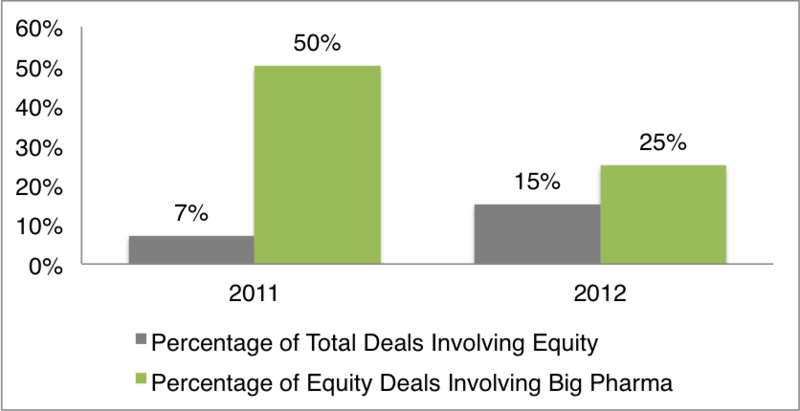 In at least 7% of the deals of 2011, and at least 15% of the deals in 2012, equity payments became publicly available in the database. In 50% of the deals with equity in 2011, the investor was a large pharmaceutical company. In 2012, this figure fell to 25%. This statistic highlights another trend – companies are licensing more to smaller private companies than to big pharma. 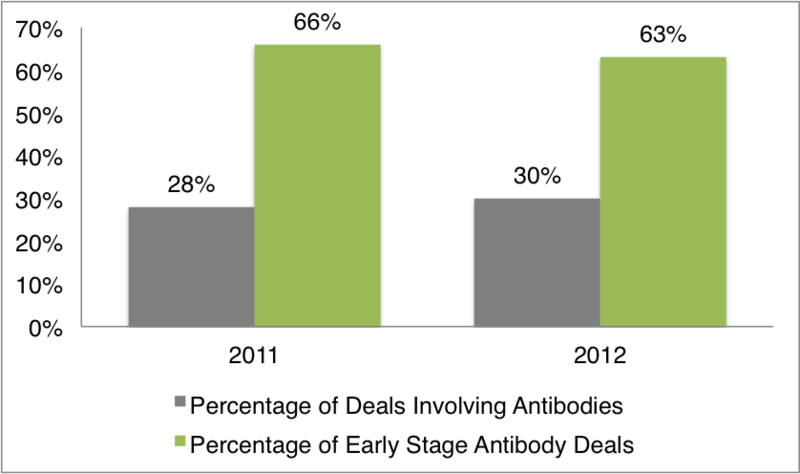 In terms of deals involving antibody-based therapeutics, there was a 2% rise (from 28% to 30%) between 2011 and 2012. It is important to note here that a majority of these are early stage deals – for example, deals with research alliances and companies in the preclinical stages. In summary, there is an increase in licensing activity surrounding oncology, antibody-based therapeutics, and among earlier stage products. This shift represents a positive trend for those emerging biotechs targeting this major indication area, who are considering early stage licensing as an alternative route to capital or exit.